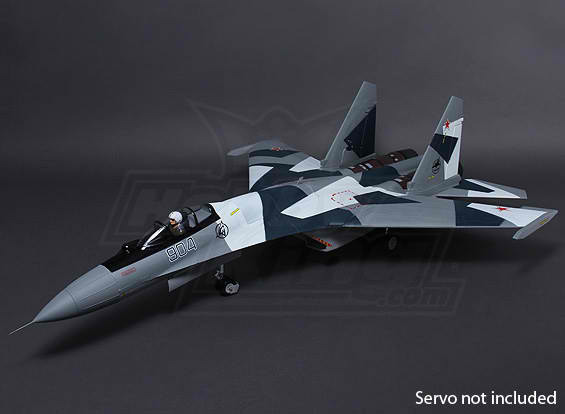 Whos got the need for some low inverted thrust vectoring with this wicked Sukhoi SU-35 with a 1080mm wingspan, its a single seater fighter jet from the 1980 that outperformed any jet fighter with is ability to do thrust vectoring and with its twin engine for super maneuverability and aerodynamic look. 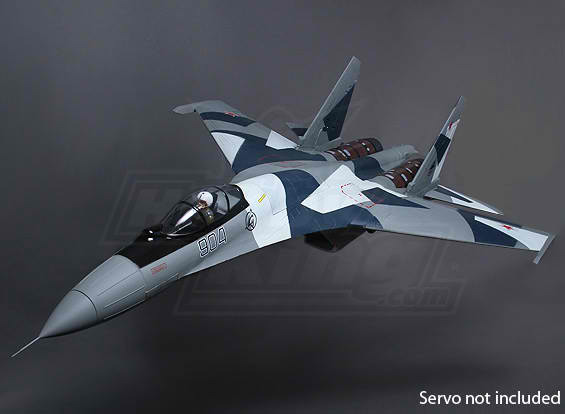 This awesome looking highly scale twin 70mm EDF model fro Hobby King performs as good as the Su-35, it has a superb military look with gray and dark blue shades that of the brilliant military paint scheme, detailed pilot and scale decals, this famous jet fighter will tear open the sky. Best part of all, can you say ” servoless retracts“….go on say it outloud…. a great function as we know servo retracts have the tendency to get stuck or strip and even add extra weight. The SU-35 Sukhoi has greater than a 1:1 power-to-weight ratio allowing for the most radical speed of flight characteristics! Running a 6S lipo which will provide 24volts of electrons powering up your twin EDF brushless motor. 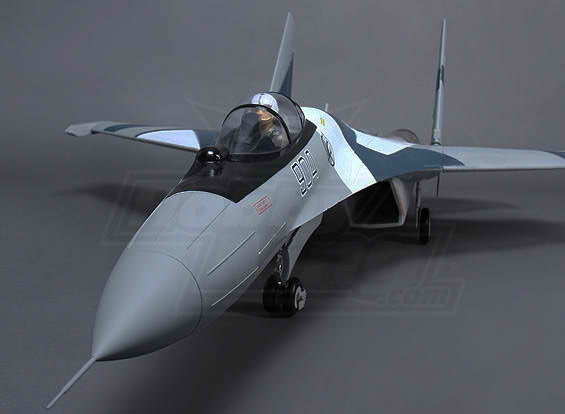 With high speeds and aerobatics, this is the wave of the future, the F-18 Jolly Roger EDF RC packed with a thrust vectoring system to allow the highest angle of attack. 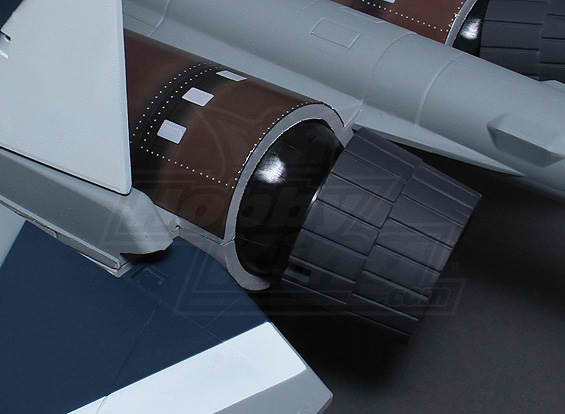 Thrust vectoring was originally created to provide upward vertical thrust as a means of giving an aircraft vertical VTOL takeoff and landing abilities.